148 gross. 156 gross from 1947. 1911 built for Northern Steam Ship Company. Engines taken from the burnt-out KAPANUI . 1939 September 5th taken over by the Navy as an Examination Ship at Auckland. 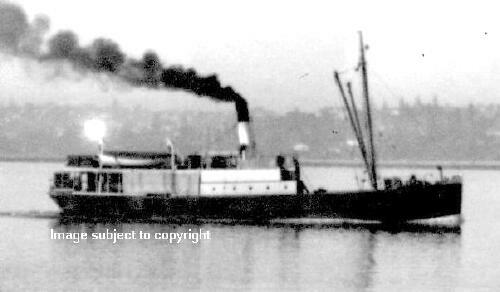 1947 sold to South Westland Shipping Company. Converted to a motor ship. 1954 April 24th wrecked Awash Rocks Cook Strait, on passage Motueka-Wellington. No loss of life.